Petroleum is the black gold of the earth – to get to this treasure, innovative and modern technology for recovery of petroleum and natural gas is required. The materials used in deep drilling are subjected to extreme conditions: Up to 200°C, vibrations and very high pressures. 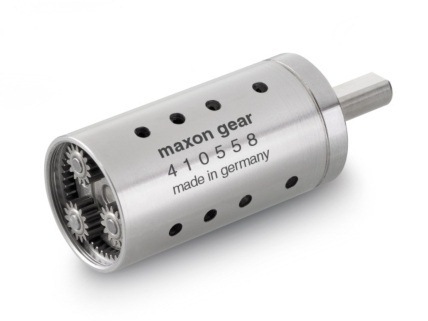 Motors by maxon motor are used for many tasks, such as operation of the valve controllers, as well as for triggering mechanisms and measuring devices. Today, almost all cars require fuel and many heaters would not work without oil. In short: More than 85 percent of the global energy consumption is based on fossil fuel sources, i.e. oil, gas and coal. But to get to these valuable resources of our planet, it is necessary to drill deeper and deeper – no easy enterprise. Deep drilling technology (called “downhole drilling” in the field of oil and gas exploration) makes it possible to recover oil and gas from depths of more than 2,500 m. By combining downhole drilling with directional drilling (dynamic position alignment of a deep drill), previously unreachable oil reserves can be opened up, with drilling depths of currently approx. 5,000 m and drill lengths of up to 11,000 m.
Oil is a limited resource, but is an integral part of our modern way of living. Therefore, in many regions of the world, the black gold is recovered from deep inside the earth. In the USA, Russia, England, China and the Middle East, many oil and gas recovery plants, both onshore and offshore, produce several thousand barrels of petroleum or natural gas every day. To date (February 2008), the longest drill hole for oil recovery is 11,680 m long (Source: Wikipedia). It was drilled in 2007 in the course of opening up the Chayvo oil field offshore from the north-eastern coast of Sakhalin (Russia). This oil field is approx. 2,500 m deep, but it is several kilometres from the coast. These oil reserves are opened up mainly by means of directional drilling from onshore. All drilling operations have one thing in common: The requirements on the materials used are very high. The drill heads, in particular, have to withstand extreme conditions. The temperatures and pressures at these depths, combined with the strong vibrations that occur during the drilling procedure, present unique challenges to the use of electronic drives. The conditions several kilometres below the surface of the earth are everything but technology-friendly. Robust materials that remain 100 percent reliable even at high temperatures of up to 200°C are required. maxon motor’s EC22 HD (Heavy Duty) motor fulfils all requirements for these extreme ambient conditions. The electronically commutated motor, which has been designed for the exceptionally high requirements in the field of deep drilling, can withstand harsh conditions in which “normal” motors would fail. The constant development of electronics and motors today makes it possible to better monitor and control many functions throughout the entire drilling procedure. For example, the turbine in the drilling tool is driven by mud flow. Through the use of a magnetic coupling, motors become generators and supply the electrical energy for various drive functions. Thanks to this self-contained system, no expensive, polluting lithium batteries are needed. With the aid of the EC22 HD, the position of the drill head can be measured and aligned dynamically during the drilling process (MWD = measurement while drilling). This measurement is performed by means of accelerometers, inclination sensors and other instruments that allow precise recording of the position of the drill head. But how do the measured values get to the surface? To this end, the MWD technology converts the data to pulses that are sent to the drill platform. This system is driven by electromagnets or HD motors. Diverse deep drilling tools also use hydraulic valves or flaps that are operated by electromechanical drives. A matching gearhead for the EC 22 HD is also available: the GP 22 HD (figure 3). Many applications, especially in the field of deep drilling, require a robust gearhead that accurately fulfill the requirements. Most underground applications require very high torques, sometimes for only very short durations (valve control, moving flaps). A special property of the gearhead is the integrated drill holes that are necessary for an unhindered oil flow, because the gearhead, just like the motor, can be operated in oil. The different versions of the EC 22 are optimized either for operation in air or for operation in oil (flooded in hydraulic oil). The motors are constructed without adhesives and do not have a mechanical commutation system. This enables the motor to withstand extreme temperatures and also ensures constant performance under ultra-high vacuum conditions. The power rating depends on the surrounding medium and amounts to 80 W in air and, due to the much larger heat dissipation, 240 W in oil. The motors have been designed for ambient temperatures of more than 200°C and atmospheric pressures of up to 1,700 bar. If the motors are cooled with oil, they can even withstand temperatures up to +240°C. Other requirements on the motors, which have a diameter of 22 millimetre, are resistance against vibrations of up to 25 Grms, as well as against impacts of up to 100 times the gravitational acceleration of the earth (100 G). In comparison, Formula 1 race cars reach 2 G and fighter jets up to 13 G. A human can withstand approx. 10 G, in other words ten times his body weight. However, these are peak values and only astronauts and pilots can cope with such high physical stress for a certain period. 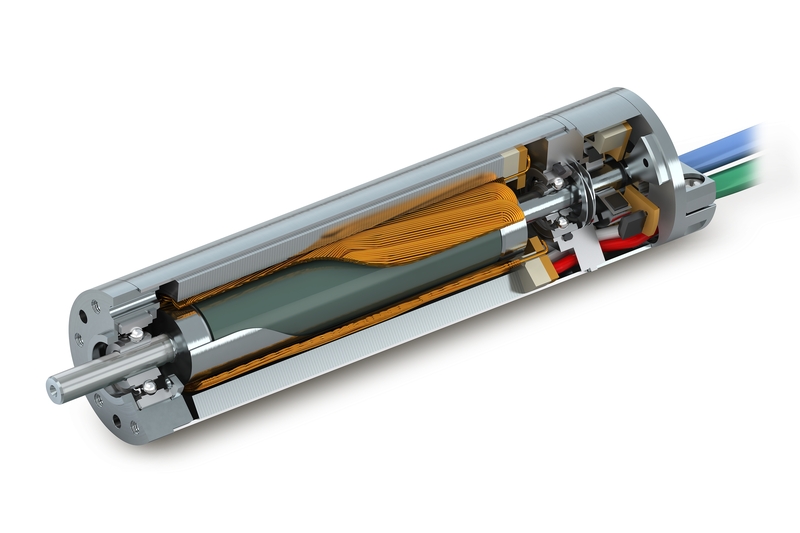 In addition to its very high resistance to the extreme ambient conditions at great depths, the maxon HD motors also have a very high efficiency. An efficiency of up to 88 percent is reached in air and more than 70 percent in oil. With these properties, the EC22 can be of benefit in countless other areas of application – for example under the extreme conditions in outer space. With their detent-free running properties, the motors have excellent control characteristics and are therefore optimally suited for high-precision positioning tasks in outer space, even at low rotational speeds. In the future, the motors will also be used on Venus – NASA is planning a space flight with this destination. However, there the motor will have to withstand temperatures of up to 480°C. The further development of precision motors for extreme conditions will therefore continue.